Getting an online education has become a very popular technique these days. Whether you are looking for a high school diploma or a graduate degree or some specialized certification to supplement your existing knowledge, it is very convenient to obtain these without having to take time off from your schedule to attend a regular educational institution. Unlike traditional learning, distance learning can offer you greater flexibility, as you don't have to waste time- and money- commuting to the campus and you can choose a program that truly suits your interests or professional needs, because you are not confined to the classes that are offered locally. Another advantage to distance learning is the fact that you can continue to work, because you don't have to worry about fitting your classes around your job schedule. Online programs often cost less than their traditional counterparts, so you can save money on tuition, if you pursue your degree through an online university. Online study is also a great option for those students with physical handicaps, which may prevent them from traveling to a traditional campus. Likewise, if you are shy, or perhaps even language-challenged, participating in an online course may be the perfect alternative to a live class. There are some major advantages to online education, including the ability to set your own study time. You may be looking for a promotion or career change that requires additional training or you may simply be ready to learn something new. But with today's busy lifestyle, there's little time to devote to regularly scheduled class time. That's where online education can be a great asset for a motivated person. 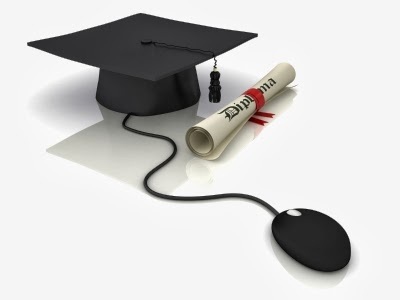 Although there are many advantages of an online education, there are also some disadvantages. The fact that you are working on your own could very well be one of the major disadvantages of taking online educational classes. Another major disadvantage is the lack of interaction. You aren't in a classroom and don't have the opportunity to hear questions and discussion from other students. This isn't always an issue, depending on the subject of the online education course you are taking, but it could be an important factor in deciding whether an online education is the best option when seeking out opportunities for learning new skills or gaining new training. But above all the disadvantages the online education is gaining more esteem than traditional education. This article has been published by Kateri White currently writing on online degree programs topics for our website http://www.onlineuniversitydegreeprogram.info.For more details about the online degree programs, please visit our website. If any mistake found please mail kateriwhite@gmail.com.